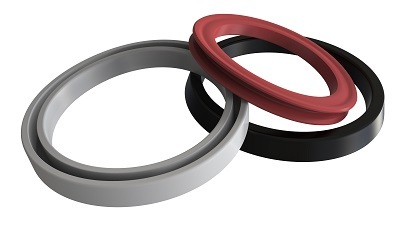 Our decades of experience with rubber seals makes ERIKS capable of designing and developing specific rubber parts, often in close cooperation with the customer. Rubber seals that help you solve any sealing problem in the world. The possibilities are endless. Chosen around the world by engineers for critical sealing applications, mechanical seals supplied by ERIKS products are designed to meet any industrial (automotive, Pharmaceutical, food & beverage, Oil & Gas, HVAC, (Petro) Chemical, Semicon, Marine, Agriculture, Power generation, …) requirements for both OEM and maintenance markets with a range of standard and custom solutions to cope with ever more demanding applications. When the required seal isn’t available in the standard ranges, ERIKS is able to design and supply seals in any material and in any size in any quantity. Where required, a specific (non-standard) size can be made so that the product can be tested in practice. It could first start with producing A 3D-printed “fit & feel” sample within hours. Production of the rubber moulded equivalent can be produced also on very short notice in one of the prototype production cells at ERIKS. The eventual definitive rubber product can be supplied in very small to very large series. In our own laboratories we develop any material required, whether that is on cleanness for Semicon applications or special material approvals and compliances. ERIKS designs and develops innovative solutions in custom moulded rubber seals. With our worldwide partners we offer fast delivery, competitive prices and engineering support. Our in-house CAD/CAM and FEA analysis and quality systems guarantee an individual approach.